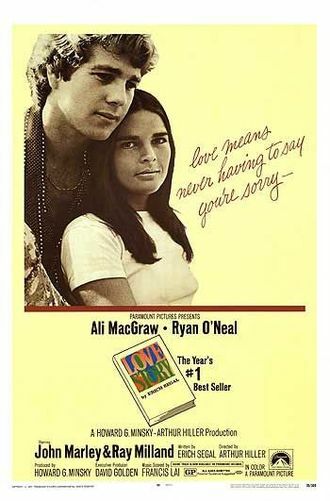 Actors Ali MacGraw and Ryan O’Neal are returning to Harvard University more than 45 years after the release of their 1970 classic Love Story. The duo, now in their 70s, will be reflecting on their careers Monday afternoon in a conversation moderated by arts journalist Alicia Anstead. Over the years, the Crimson Key Society, a student association, has sponsored showings of Love Story during orientation to each incoming class of freshmen since the late 1970s. The plot involved a wealthy Harvard student who marries a less wealthy student over his parents’ objections. Cinema legend Ray Milland, John Marley, and Tommy Lee Jones (in his film debut) co-starred. The movie was based on a novel by Erich Segal, and directed by Arthur Hiller. It was a personal favorite of President Richard Nixon. The motion picture was nominated for seven Academy Awards, winning one for Best Original Score. Andy Williams had a major vocal hit with the main theme, entitled Where Do I Begin. It won an additional five Golden Globes, including Best Picture (Drama), Best Director, Best Screenplay, and Best Actress in a Drama. The film spawned a trove of imitations, parodies, and homages in countless scripts, having re-energized melodrama on the silver screen, as well as helping to set the template for the modern chick flick. The actors are expected to drive to Harvard in an antique MG convertible, similar to the one featured in Love Story. The 74-year-old O’Neal has noted that cancer, like in the movie, has played a big part in his real life, including his own battle with leukemia. Both have admitted they had a crush on each other during filming on Harvard’s campus, and had not seen the movie in years. MacGraw and O’Neal are currently co-starring in a national tour of Love Letters, which is about a man and a woman who maintain contact over 50 years through notes, cards, and letters. The play begins a one-week engagement at Boston’s Citi Shubert Theatre Tuesday. This entry was posted on Monday, February 1st, 2016 at 12:57 am	and is filed under Blog by Manny Pacheco. You can follow any comments to this post through the RSS 2.0 feed. Responses are currently closed, but you can trackback from your own site.